Victoria (or Vicky as she likes to be known) is the longest serving hygienist at Dental Solutions and has worked with Gavin Laidlaw for over 20 years. 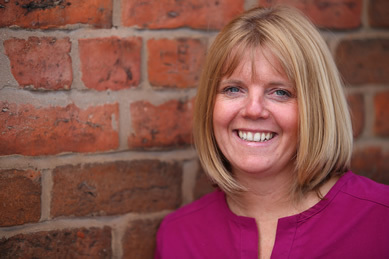 Vicky first qualified as a hygienist from Manchester University in 1989. Before becoming a hygienist, Vicky was also a nurse and a dental health educator. Vicky’s role covers all aspects of dental hygiene for her patients. She is also trained to provide Air Flow and in-surgery tooth whitening systems such as Zoom! She is well known for being very patient and gentle and has cared for a number of very nervous patients whilst at the practice. Vicky particularly enjoys the periodontal (gums) and implant care aspects of her job. Vicky always aims to make hygiene visits a positive and pain free experience for her all patients. She regularly attends meetings out of work to keep up-to-date with the latest dental developments and training. Out of work Vicky enjoys baking for her friends and family. She also loves going out and socialising with her family and friends and keeps fit by walking her two Labradors.